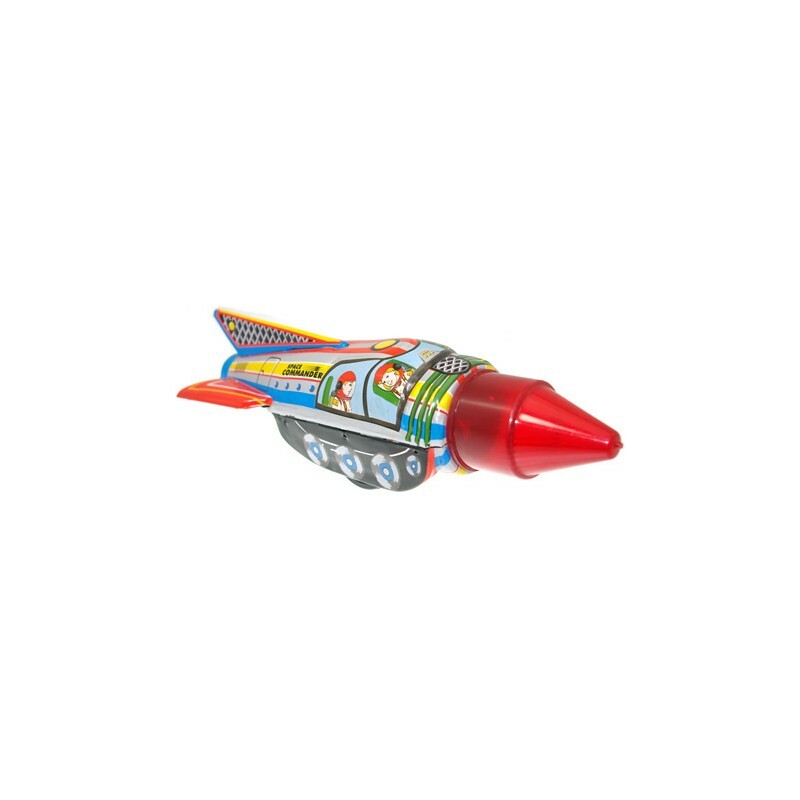 Friction driven tin toy rocket, with light up the nose cone. 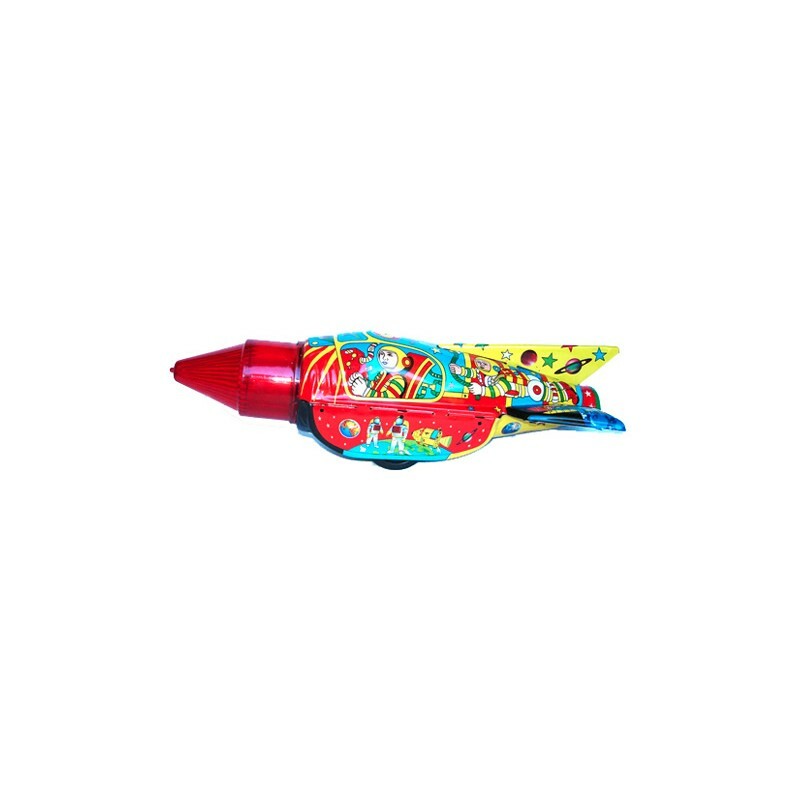 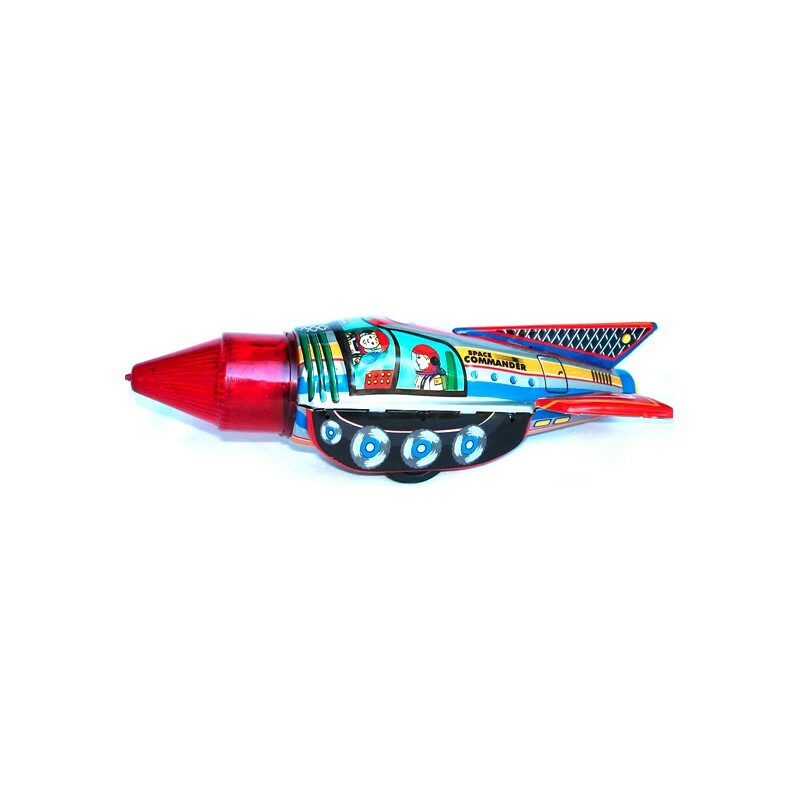 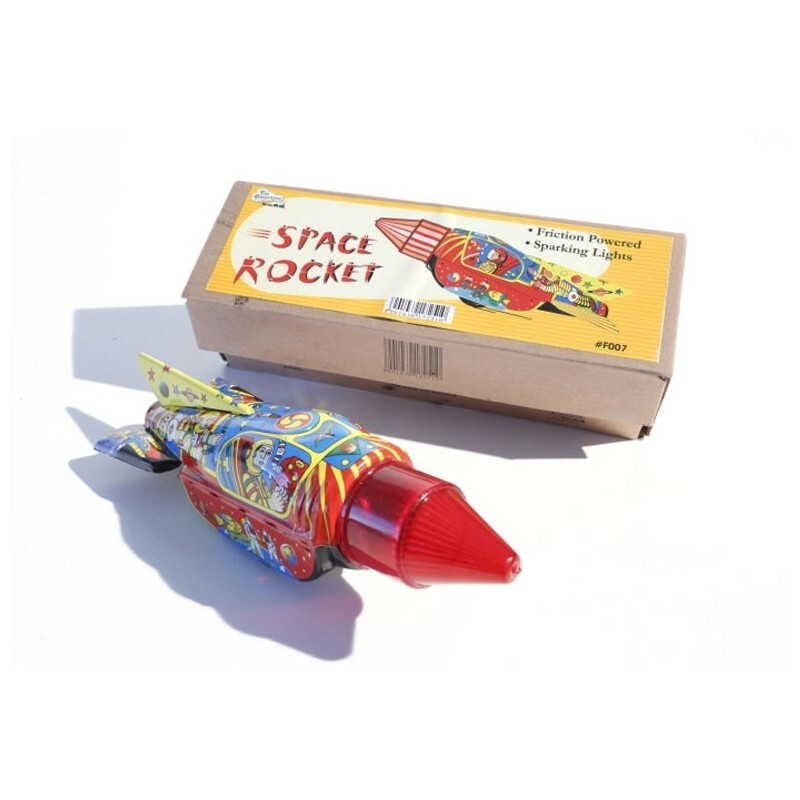 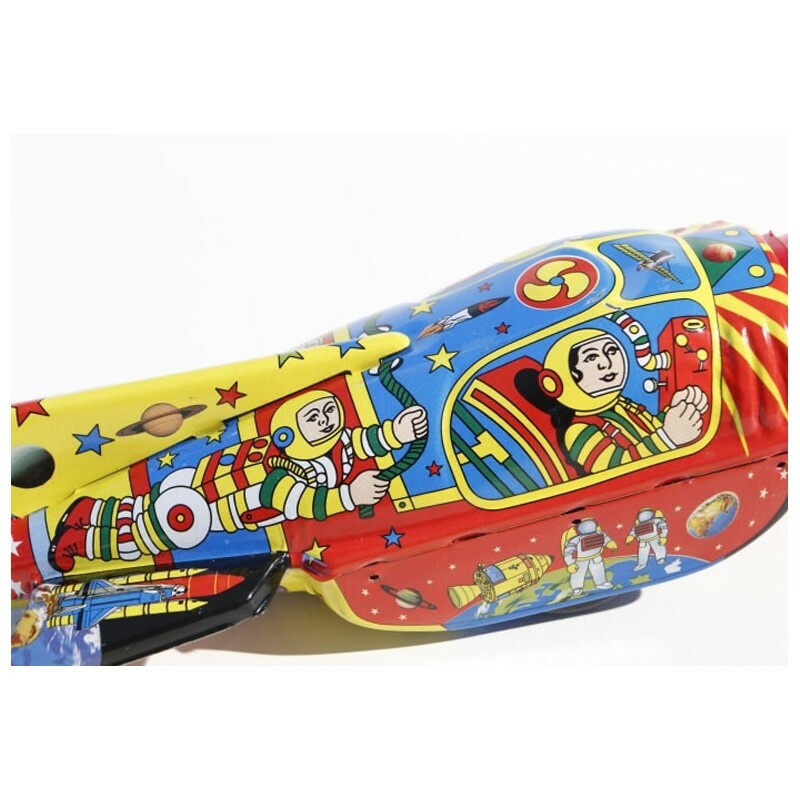 Lithographed tin toy rocket, friction driven with sparking mechanism that lights up the nose cone as it zooms along. 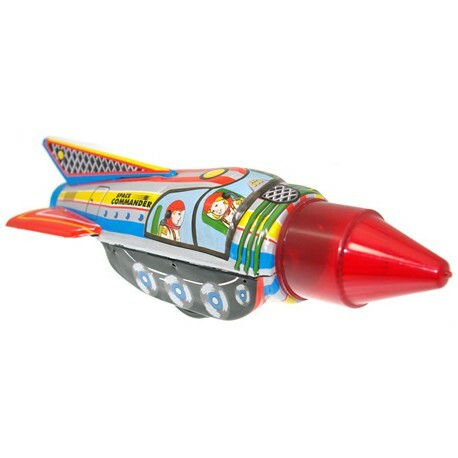 26cm.